The next three weeks will be crucial to the Flyers' playoff hopes. Points have been hard to come by on Broad Street and abroad, with the Flyers going just 4-5-1 over their last 10 games. The team still controls the second wild-card spot in the Eastern Conference, and a difficult February schedule will likely determine their fate in the crowded postseason picture. There is one saving grace in the Flyers' recent struggles, however. 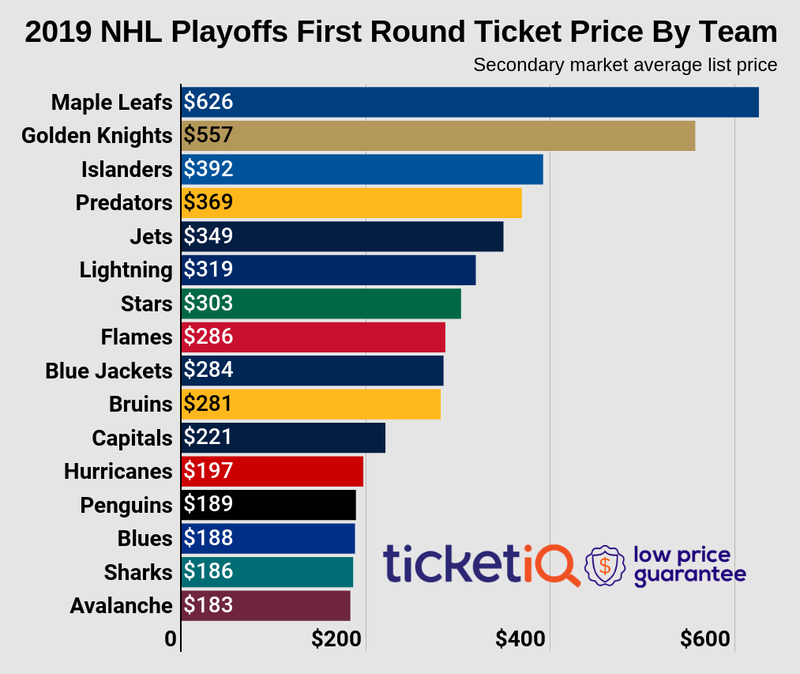 Ticket prices for the team's four remaining home games this month have fallen on the resale market, resulting in some value across each game over the next three weeks. The red-hot Islanders will be in town this Thursday for a pivotal Metropolitan showdown. The Isles have gone 7-2-1 since Doug Weight took the reins as head coach on January 16 and look to take advantage of the Flyers on the road this week. It will be the cheapest Flyers home game remaining this season, with tickets averaging $58 and the get-in price listed from just $20 each. An Isles win could thin the Flyers' second wild-card lead to just one point with three games in hand. The defending Western Conference champion Sharks take their east coast trip to Philadelphia on Saturday. It will serve as the priciest home game in February, with Flyers vs. Sharks tickets averaging $145 and the cheapest starting from $102 each. The Sharks take their Pacific-leading play to Philly with them and sit just five points behind the Western-leading Wild for the top spot in the conference. The pride of the NHL comes to Wells Fargo on February 22 when the Flyers play host to the Capitals. The Caps are looking to repeat as Presidents' Trophy winners after last season's 120-point campaign. They own the best record in the league at 37-11-6 and look to further break from the pack when they travel north to Philly later this month. Flyers vs. Capitals tickets currently own a $104 average and the cheapest tickets start from $47 each. The Flyers will hope to close the month on a high note when they welcome the lowly Avalanche on their home ice on February 28. As it stands now the late-February game is the second cheapest matchup remaining at Wells Fargo Center this season behind Thursday's game with the Islanders. Tickets currently average $79 and start from as low as $32 each. The Avs have stumbled into familiar territory over the first 50 games, posting a 15-33-2 record and sitting in the basement of the Central division. Where Do Prices for Durant's Return to OKC Rank Among Recent NBA Superstar Returns?